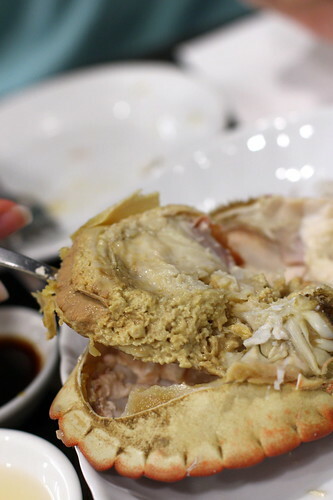 We started off with a so called French Brown Crab (法國麵包蟹). Well, it was very chilled already. The meat wasn't as flavorful as I imagined but decent enough I guess. 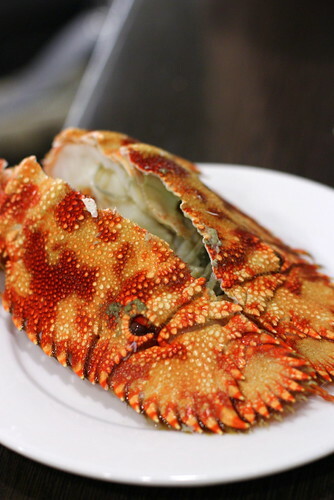 There were several other kinds of crab as well but better call in to check if your favorite is in stock. 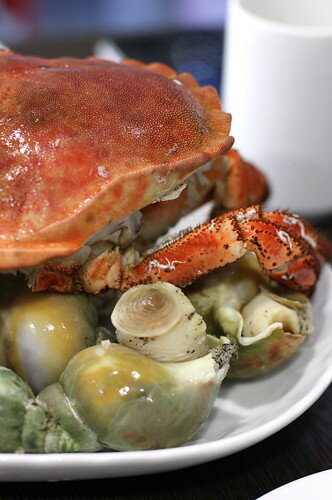 We also ordered Sea Whelks which were very chilled as well. They were firm to the bite but a bit too firm, perhaps from chilling? 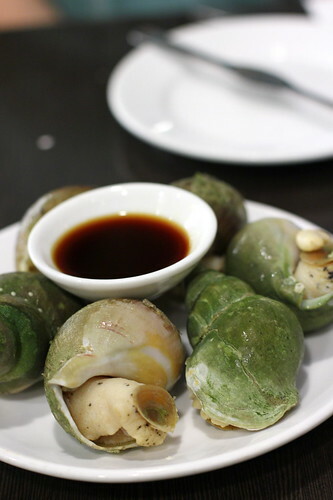 We love sea whelk so much that so decided to order some more to try out. Somehow they lacked the flavors in my opinion. After chilled items, it was time for something hot. 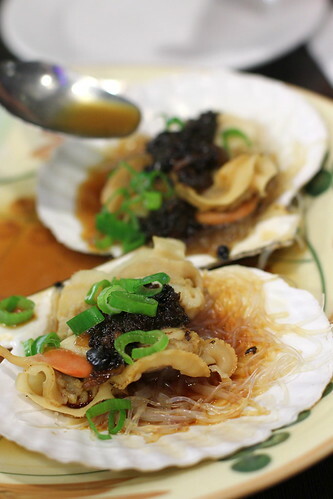 The steamed scallops with black bean paste was overly salty over the sauce and bean paste, plus it was slightly overcooked in my opinion. While finishing up our scallops, we spotted diners next table having an interesting item. 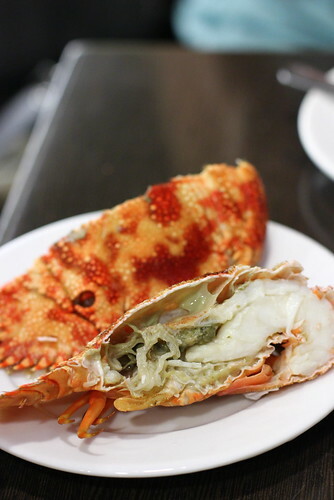 We found out later that it was called Pi Pa Shrimp (琵琶蝦), a variation of mantis shrimp (瀨尿蝦) if I am correct. (still trying to figure out the exact name for it because it didn't look too much like mantis shrimp in my opinion) Anyhow, it looked funny that was one of the reasons we ordered it. How was it? Nothing exciting if you ask me. Only little meat inside and not particularly flavorful as well. I like this place for its casual atmosphere and the focus on seafood items but not necessarily for their cooked items. 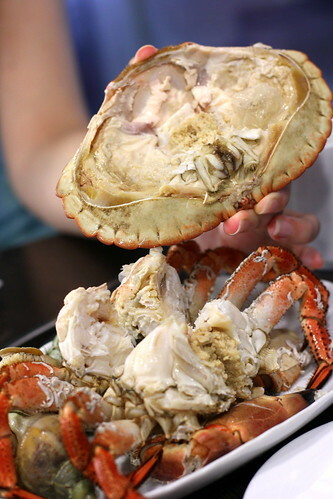 Mainly serving chilled seafood, rather bland and dependent on the sauce and of course the freshness of the items. 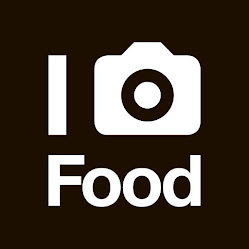 I get the feeling that your pictures make the food look better than it actually was from the text of your review! Thanks for the review. I always enjoy your website. How much was the meal per person? 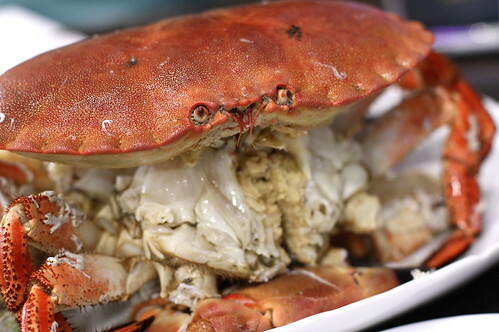 Do you remember how much the French crab was?